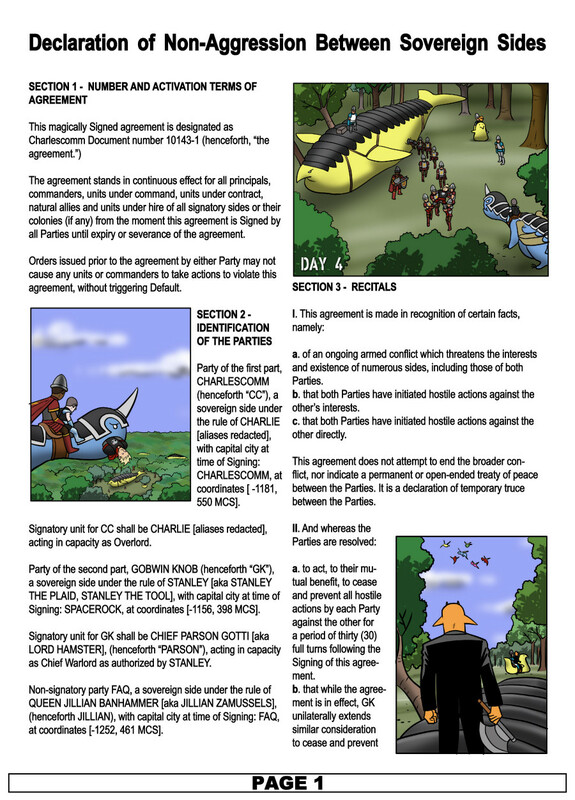 Page 1 of the Declaration of Non-Aggression Between Charlescomm and Gobwin Knob. 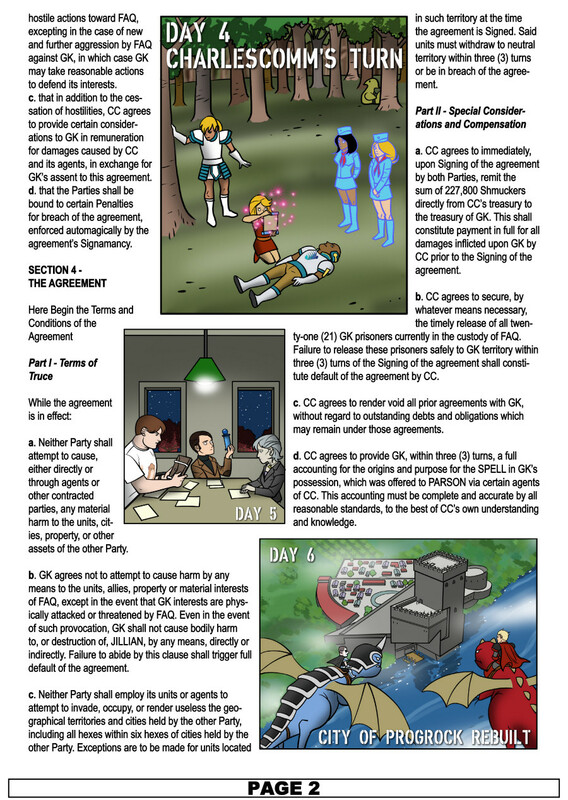 Three comic panels are superimposed on the contract. This page was last edited on 12 December 2014, at 21:12.